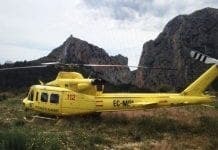 THE bodies of three dead Spanish Air Force pilots have been found on the Atlantic Ocean floor. Their helicopter cabin was located by diving teams 40 metres below the surface of the sea. One crew member had survived a similar crash in 2014. Previous searches had been hampered by sharks, with marksmen sent to scare them away. 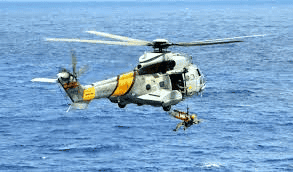 The pilots’ Super Puma helicopter crashed off the north African coast on October 22. They were flying back to their base after training Sudanese forces in Dakar. Original reports from Moroccan authorities indicated the men had survived and had been picked up by fishermen.